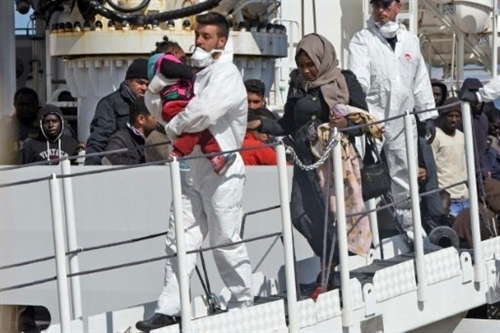 ROME – Around 6,500 migrants were rescued off the coast of Libya, the Italian coastguard said, in one of its busiest days of life-saving in recent years. "The command centre coordinated 40 rescue operations" that included vessels from Italy, humanitarian organisations as well as the EU’s border agency Frontex, saving 6,500 migrants, the coastguard wrote on Twitter. "We’ve been particularly busy today," a spokesman for the Italian coastguard said. The Italian coastguard predicted that weather conditions would encourage the departure of further migrant boats on Tuesday.